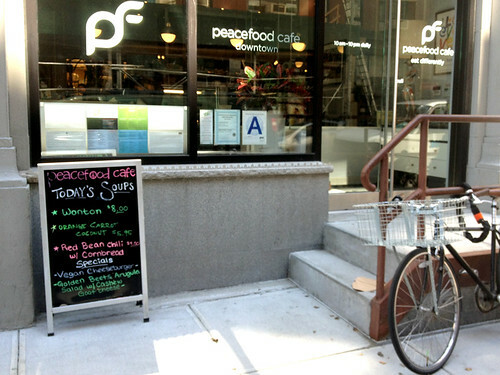 I first visited Peacefood Café's original location in the Upper West Side years ago, and had a delicious meal then. 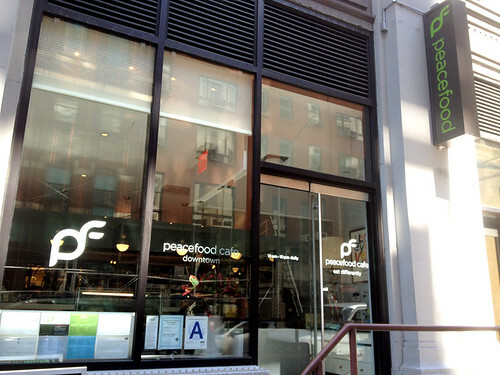 Since they opened their downtown location near Union Square, I have stopped by frequently to pick up delicious vegan baked goods – including Peacefood’s version of the Cronut. On one of my trips to pick up some pastries, I noticed a sign advertising a veggie burger as their daily special. 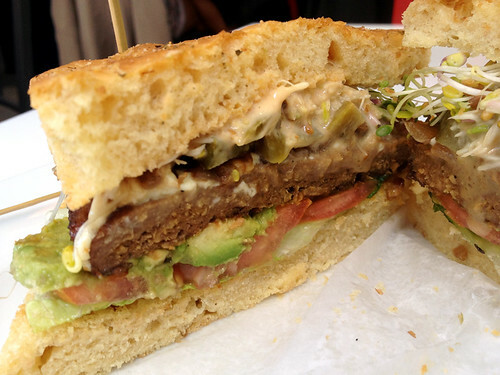 Dismayed that I had just eaten lunch, I asked an employee how often the veggie burger appeared on the specials. She told me that it was available every day, they just hadn’t added it to the official menu (yet?). Delighted, I made plans to return as soon as possible. I was slightly less enthused when I asked if the patty was homemade, and the waiter informed me that it was not (he said he thought the brand was Gardein). Gardein is not my top pick for store-bought patties; But once my burger arrived and I started eating it, I realized the necessity of a very firm patty that held together as well as Gardein’s faux-meat does, because Peacefood’s burger was positively LOADED with toppings! 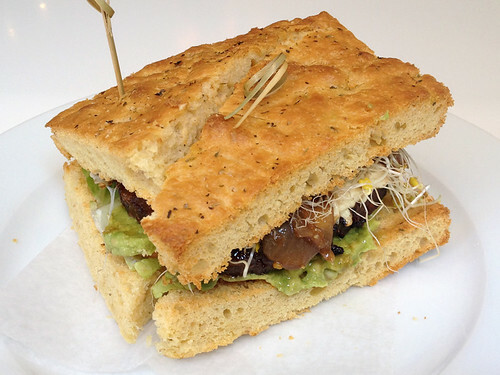 While it was not the traditional vegan cheeseburger I had expected, it was a creative concept, and quite filling (it did not come with any sides, but my stomach was satisfied enough that I did not need them – although I did stop to purchase a cookie from their bakery display case on my way out. That ramp/stairs combo that leads to the door provides access from opposite sides, so anyone walking up the ramp instead of the stairs was equally likely to miss the sign, and I did not see the specials listed anywhere inside. If I had not been looking for it, or known to ask about them, I would have missed out on the veggie burger entirely. I hope my waiter was just forgetful, or having a bad day – and that customers are usually informed of the specials before they place their orders. It would be a shame for people to miss out on a veggie burger just because it’s not being advertised well! 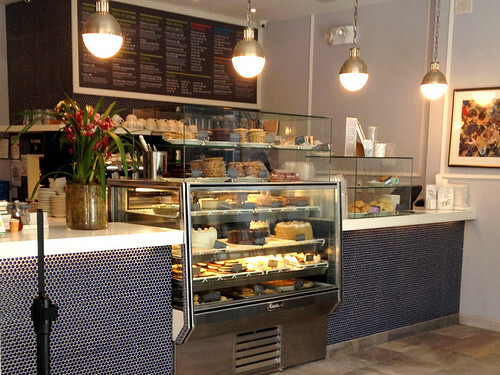 Second location in the Upper West Side, check website for address – although I don’t know if they offer the veggie burger special, so make sure you call ahead to ask! The Green Radish Food Truck - Update!